From a mile-long strip of land packed with over one million corpses just off the shores of New York City to a floating fortress in England used by a developer to escape his creditors, these 7 islands are among the world’s strangest. 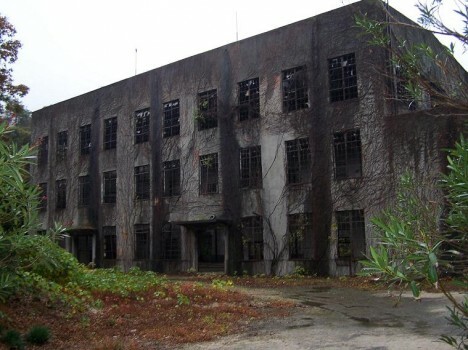 While the exact histories of some can only be speculated upon, like Japan’s formerly top-secret chemical weapons facility and Mexico’s wildly creepy Island of the Dolls, each of these mysterious islands has a fascinating story to share. Suspecting that the United States and Europe were producing chemical weapons despite signing the Geneva Protocol banning chemical warfare in 1925, Japan decided to move forward with developing some of its own, claiming a tiny isolated island that they subsequently removed from maps. Workers at the chemical weapon facility producing mustard gas and tear gas weren’t even clued in to what they were creating, and many of them suffered from toxic-exposure related illnesses. When the Russo-Japanese war ended in 1929, documents relating to the plant were destroyed, and the gas was dumped or buried. 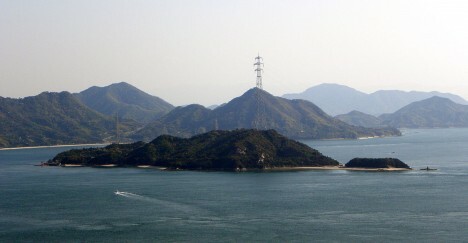 Today, the island is home to the Okunoshima Poison Gas Museum – but that’s not what draws most of the tourists who visit the island, which is now part of the Inland Sea National Park system of Japan. 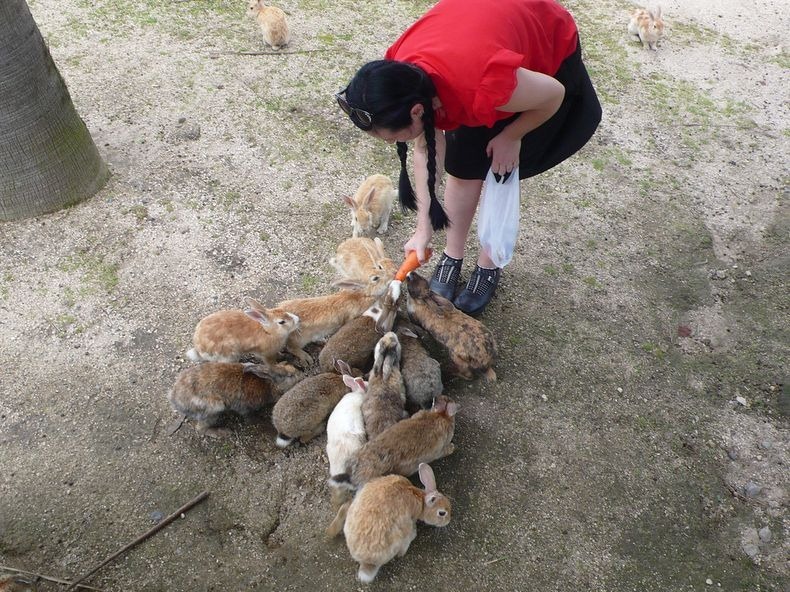 It’s the thousands of rabbits that have multiplied there, leading to the nickname ‘Rabbit Island.’ Some people speculate that these rabbits are the descendants of animal testing subjects that were let loose after World War II, but as the rabbits have few natural predators to fear on the island and hunting them is forbidden, it may just be a case of stereotypical rabbit reproduction rates. 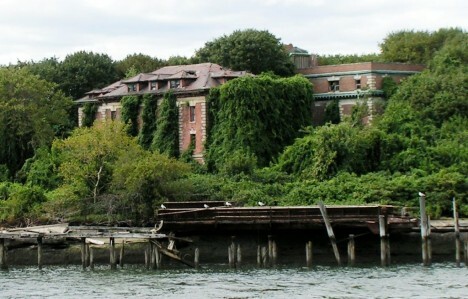 Visible to anyone who cares to notice from the windows of airplanes landing at LaGuardia Airport, the creepy abandoned North Brother Island is nonetheless unknown to most New Yorkers. The dilapidated remains of brick structures can be spotted through a tangle of vines in the overgrown forest that has sprouted around them since they were left to decay a half-century ago. 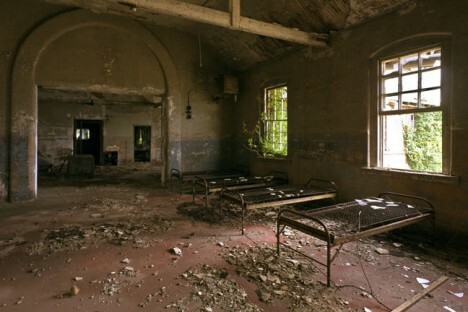 The island was established as a New York City quarantine hospital in 1885, and was home to the infamous Typhoid Mary, the first American identified as a carrier of typhoid fever. Later, the island became a rehab center for teenage drug addicts before it was decommissioned in 1963. Invasive kudzu vines soon took over. 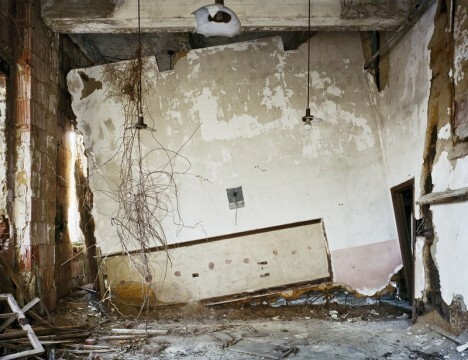 Due to its proximity to Rikers and the fragility of its structures, the island is permanently closed to the public, but occasional visitors still get in. 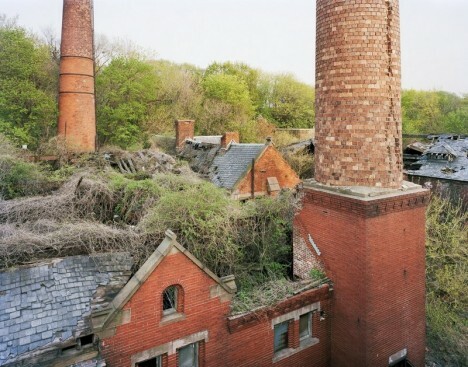 These incredible images were taken by photographer Christopher Payne for his book, North Brother Island: The Last Unknown Place in New York City. 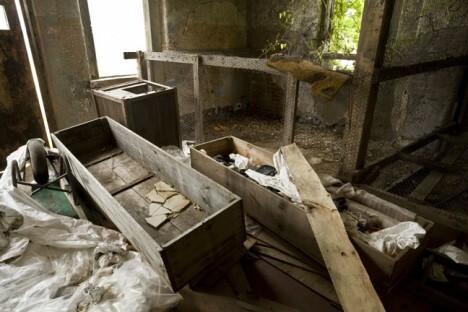 As beautiful and creepy as North Brother Island may be, it’s hardly the only isolated island with a sad story that can be found within a stone’s throw of America’s most populated city. 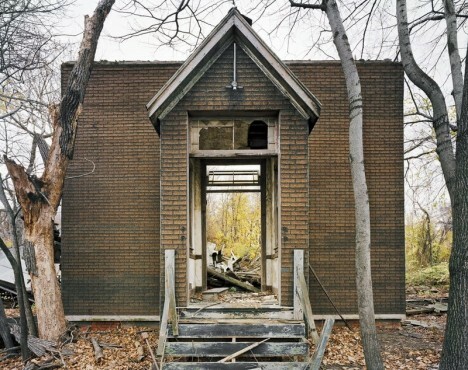 Located in the Long Island Sound, Hart Island was used as a Civil War prison camp, with 235 prisoners dying there. Later, the island became the setting of a hospital, a women’s insane asylum, a tubercularium and a corrections facility for boys. But unlike many islands with such a past, this one has not been converted into a memorial, nor has it been entirely left to ruin: it is the final resting place of the city’s unknown or unclaimed dead. 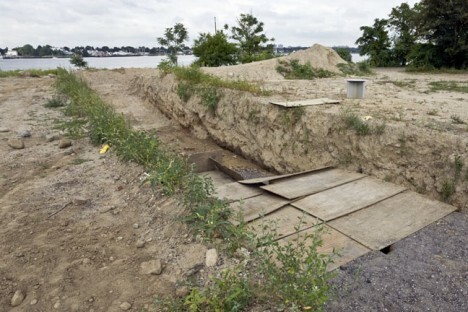 Used as New York’s Potter’s Field, the mile-long island holds the remains of more than one million individuals, with about 1,500 bodies (and many more amputated body parts) buried there each year. The historic buildings on the island are being torn down to make room for additional burials, which are conducted by Rikers Island inmates. 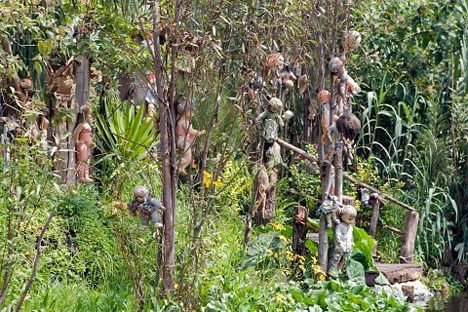 The eyes of decapitated dolls blink lazily from their perches in the trees on Mexico’s Isla de las Munecas – ‘Island of the Dolls.’ There’s something undeniably terrifying about seeing what look like naked infants – sometimes remarkably realistic – clinging to the branches or dangling from their necks. 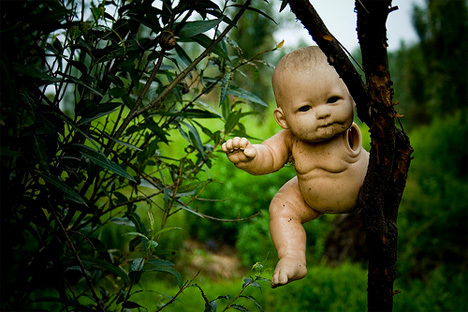 Legend has it that after a little girl drowned in Teshuilo Lake, island resident Don Julian Santana began collecting dolls and installing them in the trees. Eventually, their numbers grew into the hundreds. Santana often sourced the dolls from the trash or traded produce for them, taking them in any condition, no matter how dirty or worn. While many people viewed the doll-infested island as something out of a nightmare, to him it was a shrine. Tragically, in 2001, Santana was discovered drowned in the same area of the lake where he believed the little girl had perished.